Oklahoma Connection | Dale came to settle in Hobart, Oklahoma, in 1890. Throughout her career, Dorothea Dale helped establish more than one hundred libraries in Oklahoma towns and paid for the college education of over twenty young people. Dorothea Bishop Dale was born in Iowa and educated at St. Clara’s College in Wisconsin, Valparaiso University in Indiana, and Highland Park College in Iowa. A registered pharmacist for seven years and a teacher in Hobart, Oklahoma, where her physician husband, John, worked, Mrs. Dale helped establish the community’s first library in 1914. She served as school superintendent in Hobart from 1917-1918. After her husband’s death in 1918, Mrs. Dale moved to Oklahoma City and became secretary of the Oklahoma Library Commission (1919-1950). 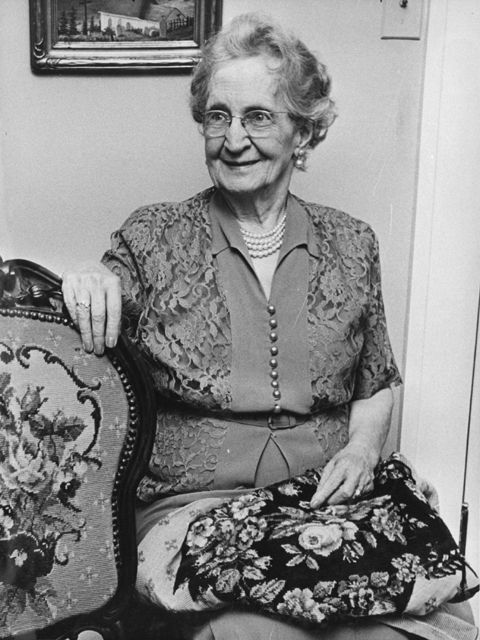 By the time she was awarded Oklahoma City’s Woman of the Year in 1950, she had established a library commission that was serving over 150,000 rural Oklahomans every year. She also served as president of the Oklahoma Library Association and was library service chairman of the Oklahoma Federation of Women’s Clubs. See pictures of Dorothea B. Dale and other media HERE.